Quality Guaranteed Earth Notions is committed to sourcing only premium products from trusted and authentic sources. We guarantee the quality of this product and stand behind it 100%. If for any reason you are dissatisfied with your purchase, please contact us. Earth Notions Organic Goji Berries are premium berries grown and harvested from certified organic goji farms, which are located throughout the fertile plains of inner Mongolia and the Ningxia region of northern China. These nutritionally superior berries are defined by their sweet taste, bright colour and long narrow shape. 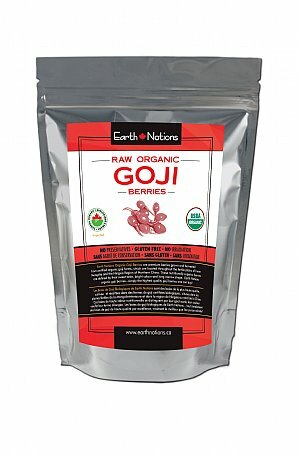 Earth Notions organic goji berries... Simply the highest quality goji berries, one can buy!